"Cancer moves at a rapid rate, we need to move faster" - Huntsman Cancer Research Team. With deep gratitude for the contribution to so many, we share the announcement of Coach Dave Rose’ retirement. Dave and Cheryl Rose have been pillars of greatness in our community and a beacon of hope for those who are struggling or have a loved one who has battled cancer as they annually give back so much through the Huntsman Foundation and other efforts. 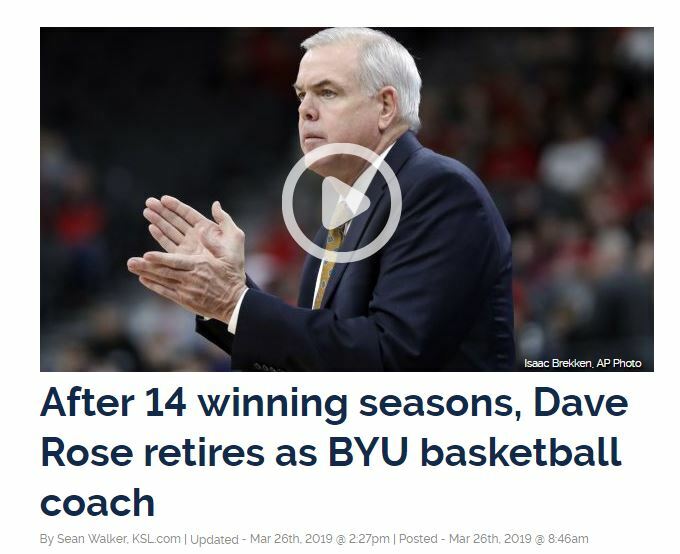 We want to share our love and appreciation for Dave and Cheryl and all that they have done at BYU and for the fight against cancer and honor Coach Rose at this time as he has chosen to retire from coaching basketball. We love you, coach, thank you!